On May 4, 2016, USFWC co-founder Jessica Gordon Nembhard will be inducted into the Cooperative Hall of Fame. Jessica is a giant in our field. 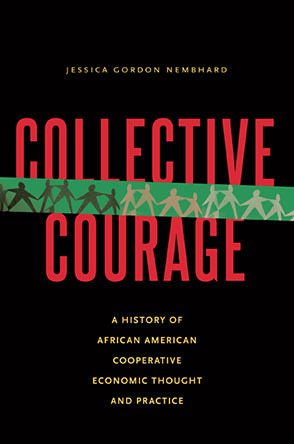 Author of Collective Courage: A History of African American Cooperative Economic Thought and Practice, tireless scholar-activist, co-founder of ECWD, active member of GEO, and a mentor to so, so many of us. If you are in a worker cooperative in 2016, you have benefited from Jessica's efforts! Her work is groundbreaking, and her vision and principled leadership have positioned worker co-ops as tools for economic and racial justice in the 21st century. Please join us in honoring Jessica Gordon-Nembhard and thanking her in a small way for her all she has done to grow worker cooperatives. In true grassroots style, we are pulling together lots of small and medium donations to support her Hall of Fame nomination. We would like to represent strong at the Hall of Fame. Let's show the power and strength of worker cooperatives! We are aiming for 100 donations of $25 each. Money raised goes to support the scholarship funds of the Cooperative Development Foundation.